COMPANY NAME : GUANGDONG XINGFA ALUMINUM CO., LTD.
Company Profile : Guangdong Xingfa Aluminium Co., Ltd. (hereafter referred to as Xingfa Aluminium), whose head office is located in Foshan City, Guangdong Province. Was first established in 1984 and was listed in Hong Kong (code: 0098) on Mar. 31, 2008. 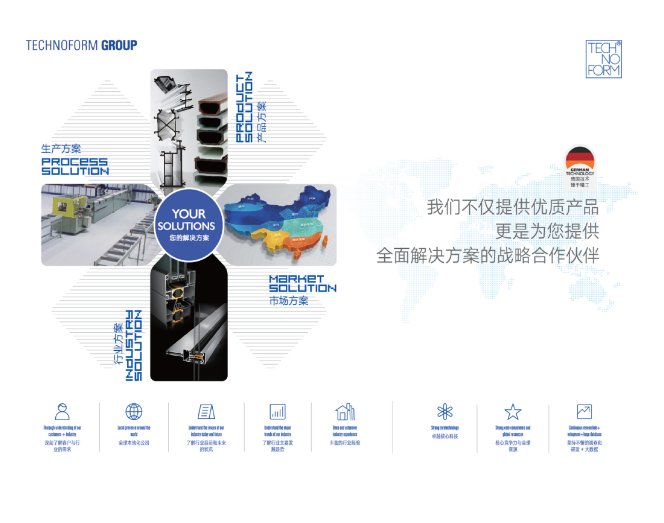 The company is one of the earliest aluminium extrusion producers in Chinese mainland and has now become a large scale enterprise specializing in the production of building and industrial aluminium extrusion and a production base designated by China Ministry of Construction. At present, Xingfa Aluminium owns 636 state patents and over 40,000 types of products of different specification and model. The company has setup its branch companies successively in Jiangxi,Chengdu,Henan since 2009.Xingfa Aluminium will expand its production bases to Central China and western part from South China, exploit the market better and provide the customers with more convenient and more excellent products and better service. It indicates that Xingfa has made a big step forward in arrangement of China. The total production and sales volume will be 450,000 tons by 2015.